Small flash bag… at . ::JAPhoto – Blog::. 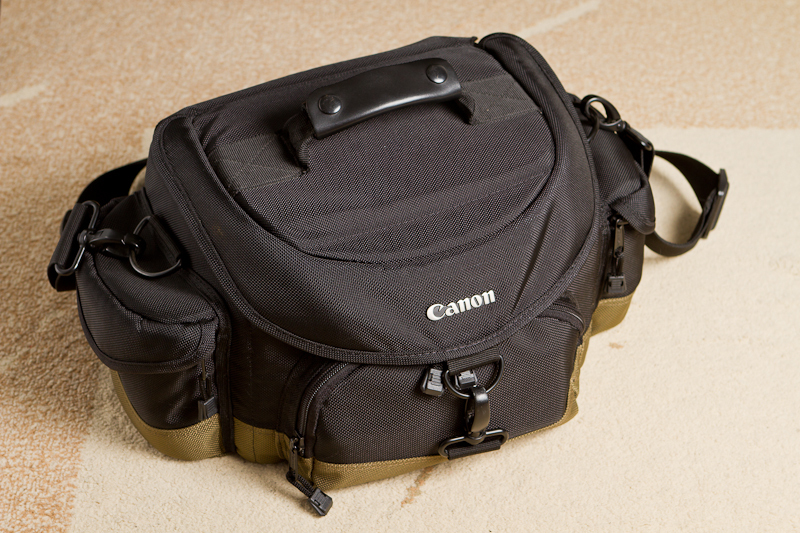 I gave up on this bag pretty soon and went with a backpack which is something I need for my style of shooting. This sort of bag isn’t too comfortable to carry around in the nature and it’s really unstable when you change positions. This whole thing actually started when I upgraded my backpack from the Lowepro Flipside 400AW to an F-Stop Tilopa, but more on that later. This bag was in a long-term loan with my dad, so when I got the Tilopa, the Flipside went off to my mom and my dad “inherited” my moms old bag, the Lowepro Slingshot 200AW. 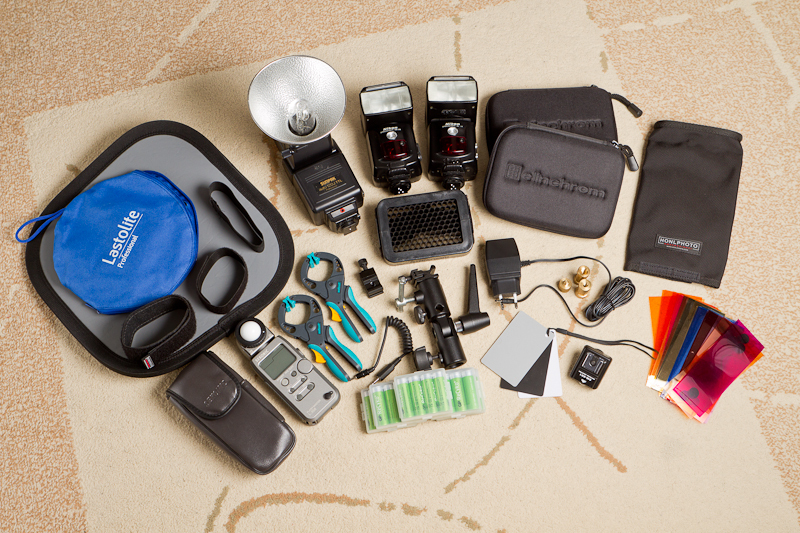 So this bag came back to me and after looking at it for a while I started arranging it to hold my flash gear. 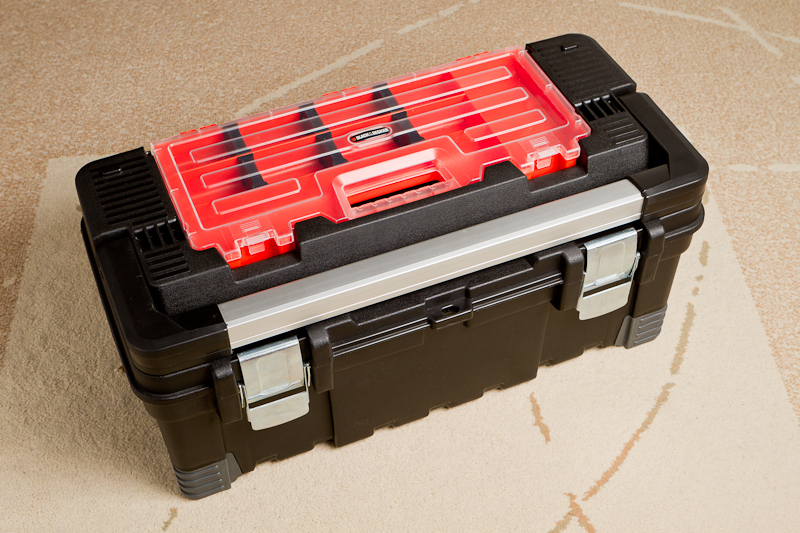 My flash stuff has been in this toolbox and while it protects the gear well it isn’t that easy to carry. Also the lack of compartments an internal padding in it doesn’t make it ideal for this sort of task. So this is the stuff I need to get in the bag. There were a few extra items in the toolbox, but those were not really needed for the kit to function. That’s a lot of stuff to get into a such a small bag, but with some creative thinking I managed to get them all in. 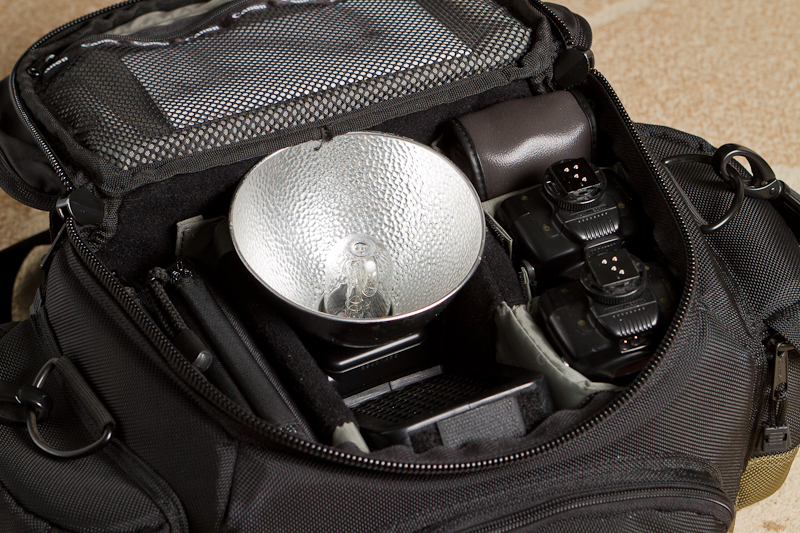 The main compartment houses the flashes, the light meter, the Skyport wallets and the Honl grid. When I find a suitable wallet for the color gels, it should fit nicely in the mesh pocket under the lid. The two umbrella adapters are in the left pocket and the right one houses the Lastolite gray card & the small clamps. 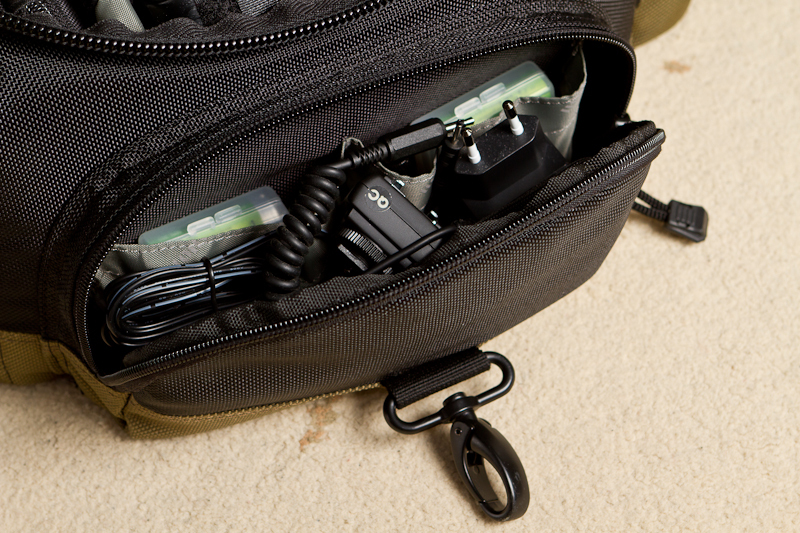 The front pocket contains all the AA batteries, the Skyport charger and other wires & small parts. It may not be the world record of stuffing a lot of gear into a small bag, but it certainly is a personal best. I’m really happy about this bag, it’s at least easier to carry than the toolbox and it’s very compact compared to it as well.